GTO FM145 Bulldog Pedestrian Gate Lock System Discounts Apply ! The GTO Bulldog FM145 pedestrian gate lock system is designed to mount on horizontal swing "walk through" wood, chain link, and metal pedestrian gates opening in or out. Ideal for securing pools, condos, schools and any pedestrian gate. Push button remote mounted control! Powder coated steel housing proven to withstand up to 3500 lbs of force! Solar compatible (1 watt 9V solar panel); or use optional plug-in transformer with rechargable batteries (not included). 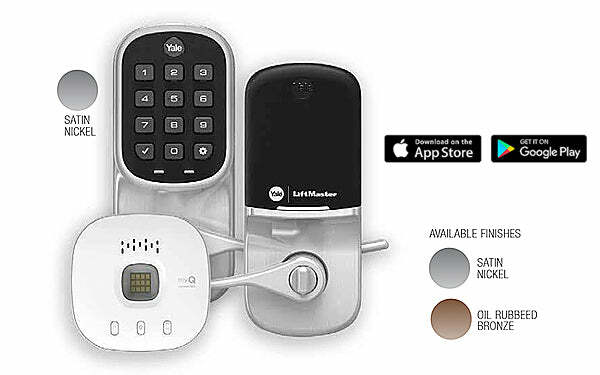 Basic mounting hardware (bolt-on or weldable), digital keypad, and push button remote mounted control is included in lock kit. Model FM144 BULLDOG / GTO PRO Automatic Gate Lock For Pull To Open Applications And Locks Gate In Closed Position. This Model Is Discontinued. Please see GTO-FM144 as a possible replacement. GTO-FM142 ELECTRIC Automatic Gate Lock for "Push-To-Open" Applications Locking Gate In Closed Position.